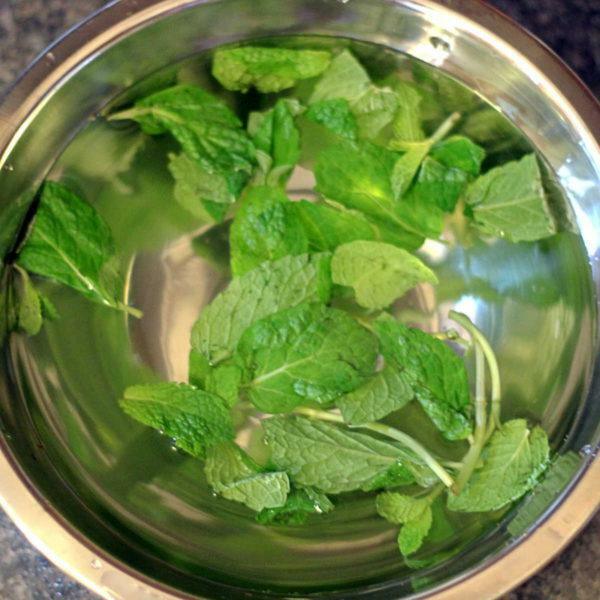 Sometimes you want to make a nice Mojito or Julep, but the only mint you can find is packaged. It may still be green, but it probably looks pretty tired and sad, like this bag I bought. 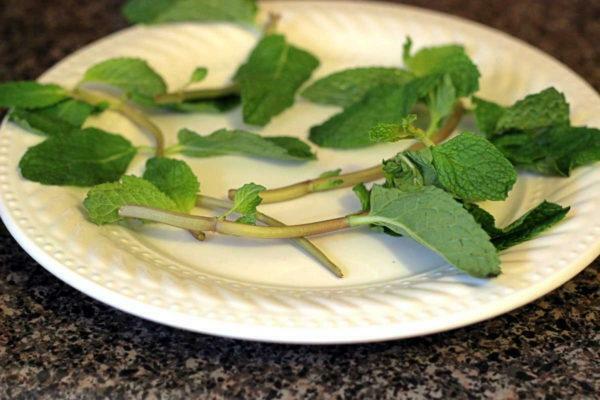 Fortunately, there’s a way to revive mint leaves and make them look fresh again. 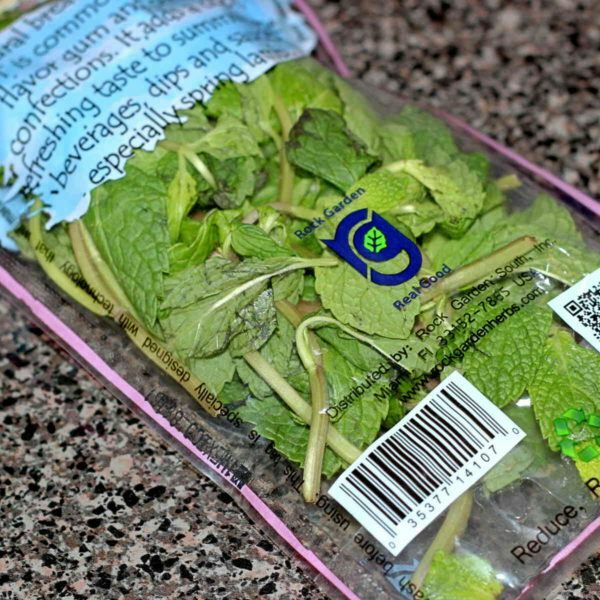 I knew my packaged mint leaves wouldn’t look like they’d just been lovingly cut from a living plant, but they could look much better than they did. Basically, they looked like this, with a few good leaves here and there, but lots of leaves folded over and bent out of shape, and the color just not as green as it is in the summer. The mint smelled great, but I wanted it to look good too – especially since I planned taking some photos for this site. 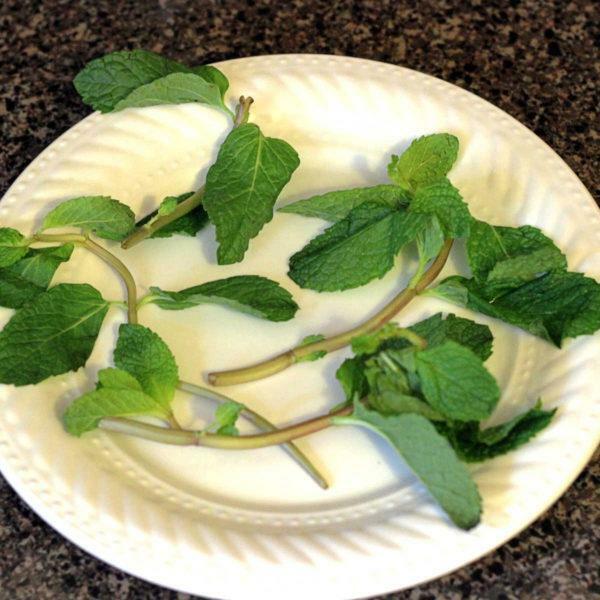 But even just for your own benefit, or for serving guests, you want your mint to look like it’s at its best. This method worked for me. I filled a bowl with cold water and put the leaves in it. They float, so I pushed them down for a second or two to make sure water got on all their surfaces. By the time I could take this picture, they were already starting to revive. I let them soak in the bowl for about five minutes. 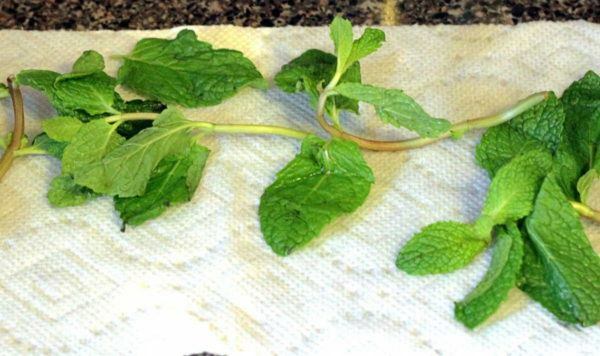 Then I carefully removed the mint leaves and set them out on paper towels to dry. Within five minutes at most, they were ready to go and looking good. Use them quickly at this point, because they start getting that tired look again within a few hours. I put mine in the fridge, but it didn’t help much. And that’s it! They may not look fresh-cut, but they look so much better than they did in the bag. 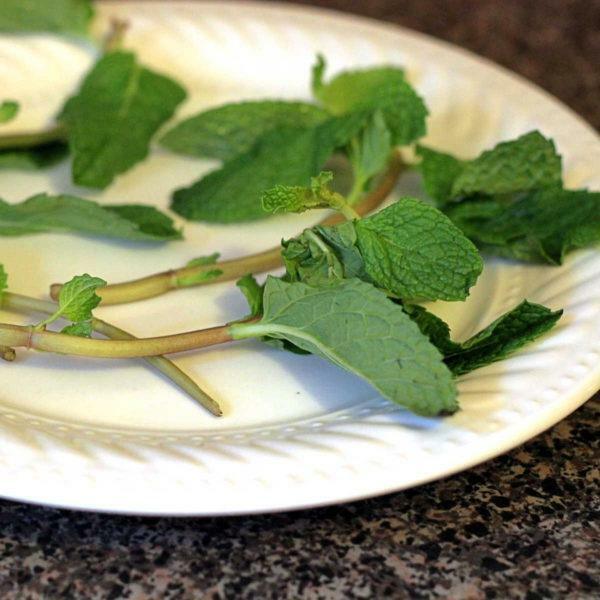 Check out The Cocktail Garnish Manual for more ideas about how to use mint and other garnishes. This is great news! Mojitos all winter now!!! !